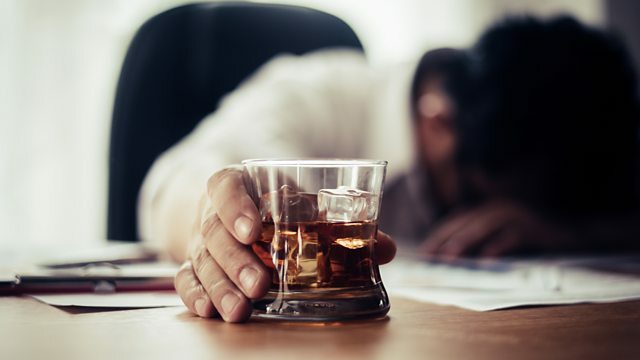 The National Association for the Children of Alcoholics says the number of young adults contacting them for help about a parent’s problem drinking is growing. ‘I try not to call him. I’ll wait for him to call because he tends not to call me when he’s drunk. He drinks most of the time - a bottle of vodka a day.’ Maria is 25, the daughter of an alcoholic and one of a growing number of young adults who has a parent who’s a problem drinker. The National Association for the Children of Alcoholics has told 5 Live Investigates that the number of grown-up children contacting them for help about a parent’s excessive drinking now makes up 80 per cent of their work - compared to half that five years ago. The charity says more and more parents are becoming problem drinkers in later life. But Liam Byrne MP, chair of the All Party Parliamentary Group for Children of Alcoholics, tells the programme that alcohol and drug treatment services have been cut all over the country.